Day 579 OUT OF Beijing: Mario Robledo and Me. Looking cool with our shades on. I’ve been trying to catch up with friends since I’ve returned to the USA. 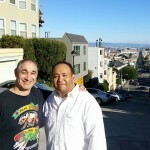 I got in touch with my buddy, Mario Robledo, a few weeks ago and we decided to have lunch together. I wanted him to meet Jill and just check in on how his life is going. He wanted to see how my trip had been and what my plans were for the future. As most of you know, I grew up in Healdsburg, California. Healdsburg is now a major tourist area and barely resembles the town I remember from my days there. Most people that visit there seem to love it and enjoy it because it is so fashionable and trendy. It wasn’t that way when I grew up there about 20-30 years ago. It was a small town that most people didn’t know about and just drove through it as they went up to Humboldt, Oregon or somewhere North of San Francisco. I grew up working in wineries there and there was a small contingent of people the knew our wines were as good as, if not better, than Napa’s wines, but we weren’t nearly as well known or famous. It was just voted the #2 small town in America according to Smithsonian magazine. Back in the day, Healdsburg was a small town with a very tightly connected community. Everyone knew everyone and if someone was in trouble, people usually found out quickly and could help each other or knew the family member and could do something useful to intervene. An example of this is Mario and me. We’ve known each other since 1st grade and have stay in contact most of the time since then. We either use facebook or some type of social media, since I’ve moved away, to do that but wanted to see each other face to face this time. Mario works in the Sonoma County Jail in Santa Rosa and lives in Santa Rosa also. He seems to be doing well and has a 17 year old son. He’s always been a very positive and outgoing person and this was still the same when we met for lunch. 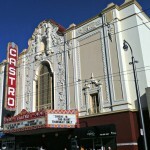 We had burgers at Super Duper Burger and then walked around the Castro and took pictures of the murals and sites that we found interesting. Mario does a lot of photography and has a good eye for photographs and scenes. I’m glad we got to hang out and catch up, and that he was able to meet Jill, because he is one of the kindest people I know and someone that I trust implicitly. It is nice to have friends like Mario, who you may not see for years, but when we do meet up, it is like we never were apart. Things just fall into place and we laugh and joke and fall right into who we are without any pretension or worry. I hope everyone has friends like Mario and can have this kind of connection. It is truly wonderful. 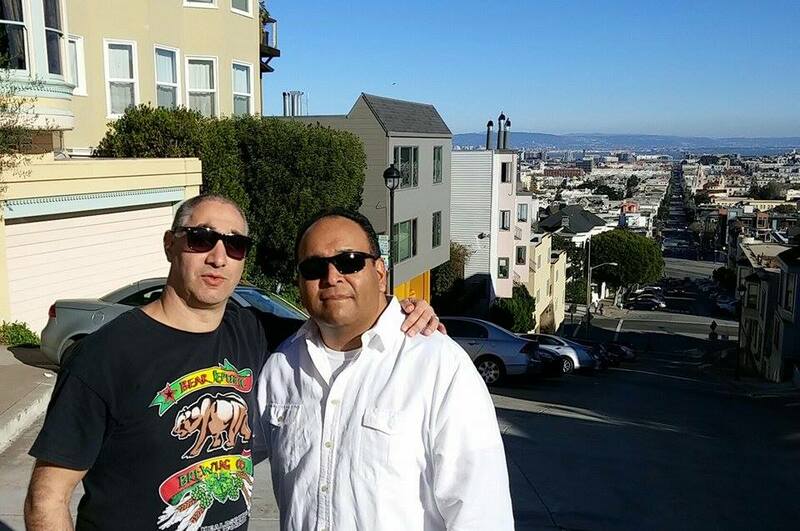 Mario and me without sunglasses. 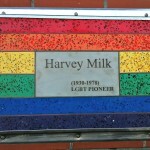 Harvey Milk sign with the rainbow backround. 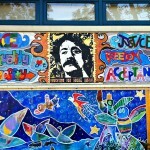 One of the mosaics in the Castro District. 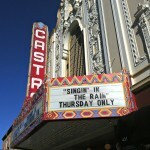 Close up of the Castro Theater.